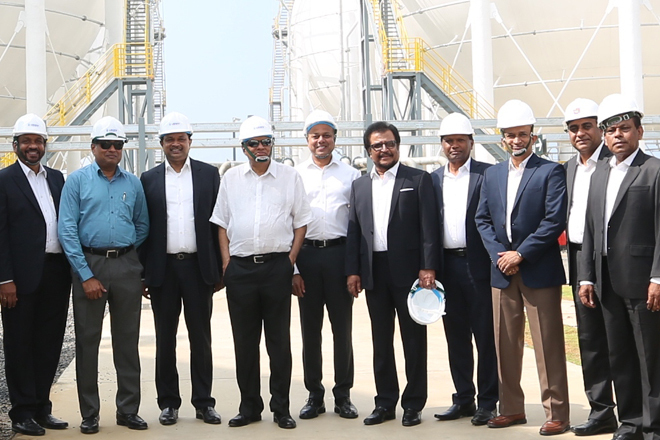 Prime Minister Ranil Wickremesinghe today made an observation tour at the Laugfs Gas LPG transshipment terminal and the Port in Hambantota. Prime Minister had talks with the officials of the Laugfs Gas company and Chinese officials of the Hambantota International Port Group (HIPG). He also engaged in an observation tour of the Hambantota International Airport.